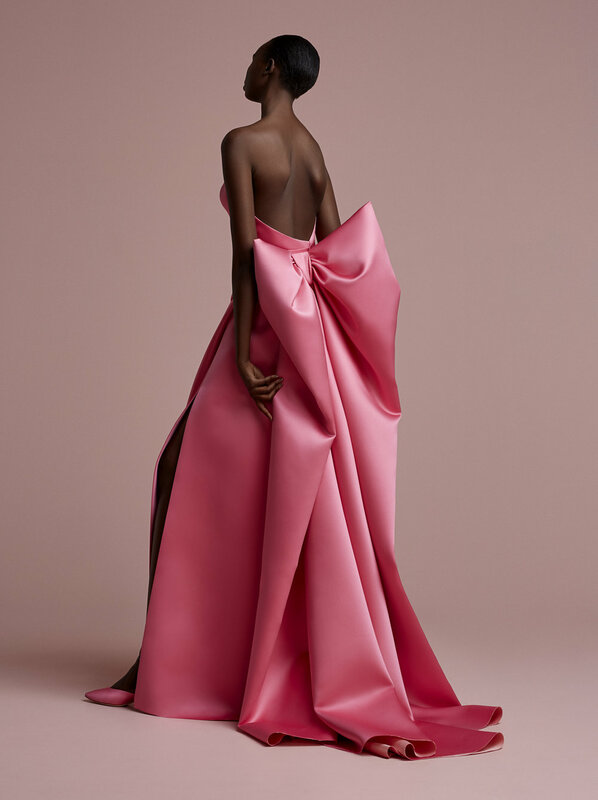 Building on the successful evolution of Viktor&Rolf Mariage, Fashion Artists Viktor&Rolf launch Viktor&Rolf Soir, a couture inspired luxury eveningwear collection. 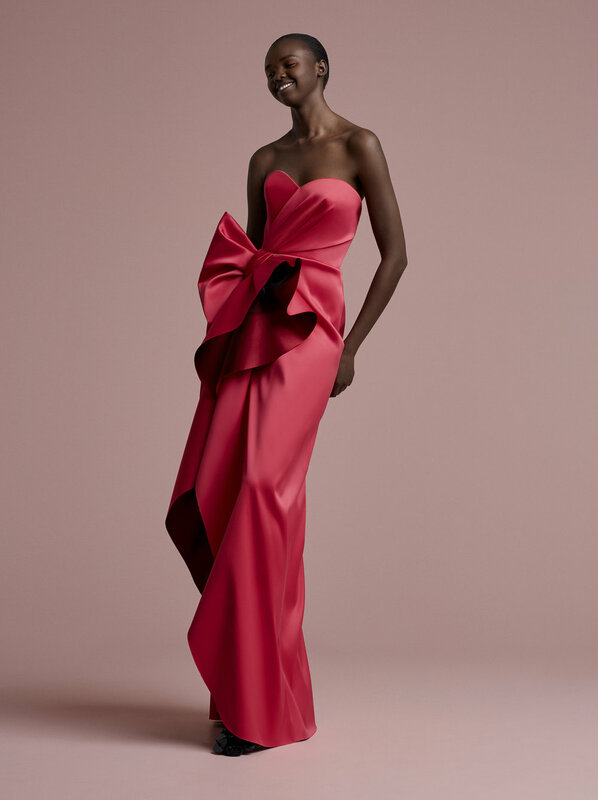 A natural progression of the Mariage collections, Viktor&Rolf Soir presents a play on glamour with a range of 19 bold evening silhouettes, designed in quintessential sculptural Viktor&Rolf style. 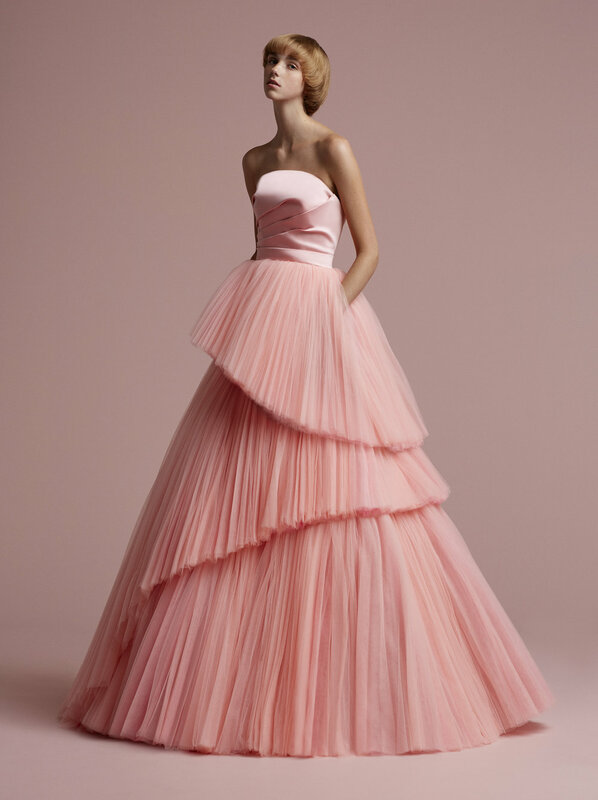 The aesthetics are influenced by iconic Viktor&Rolf elements such as dramatic bows, feminine volants, and voluminous tulle. 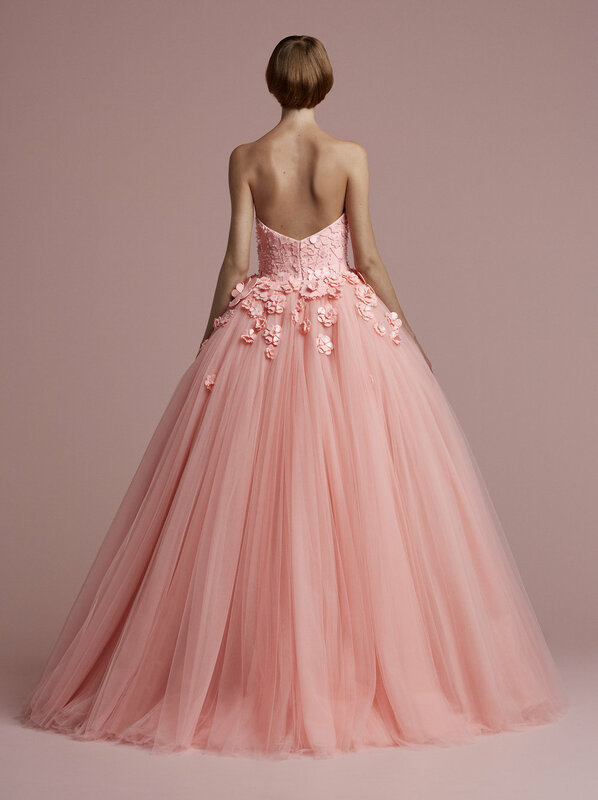 With this collection, Viktor&Rolf continue their pursuit of design for special moments. 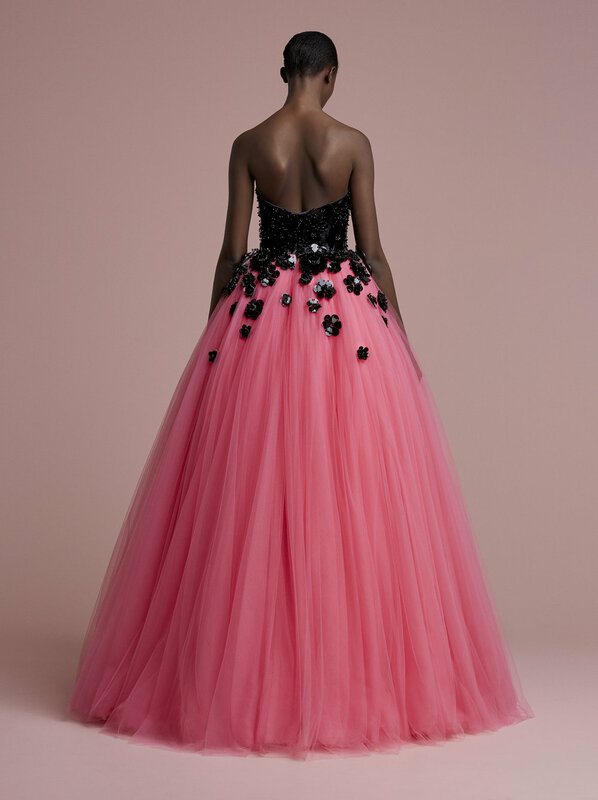 The collection, featuring a vibrant pink and black colour palette, presents a diverse offering, ranging from voluminous tulle gowns via flirty mini’s to contemporary columns and tailored pantsuits. 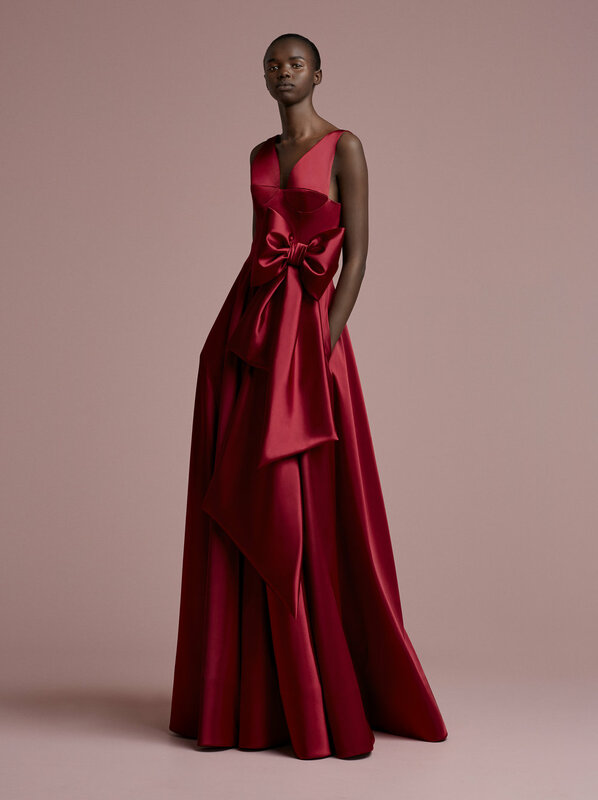 One of the highlights of the collection is a ‘Dramatic Bow Back Column’ dress: a strapless column gown featuring a draped back with a dramatic, oversized bow that drapes into a standout asymmetric train. Viktor&Rolf Soir is accompanied by a complementing collection of Viktor&Rolf shoes.